Juha "Mr. YOKO" Tirinen, 40 years after founding Yoko, isn't resting on his laurels as we continue to push forward. Yoko has 40 years of experience and expertise in designing and manufacturing quality sportswear using first-rate materials. Designed in Finland, where the challenging climate calls for proper equipment, our products are intended to serve their user under any circumstances, from outdoor and leisure activities to the most demanding competition conditions, regardless of the season. It is our passion and duty to manufacture exactly the right products to fit your demands, whether you are a recreational exerciser or a professional athlete. By choosing Yoko’s sports apparel, you can rest assured that your comfort and enjoyment of outdoor activities won’t be compromised by what you’re wearing. The great outdoors are filled with experiences; we’ll leave the fulfillment and satisfaction to you. 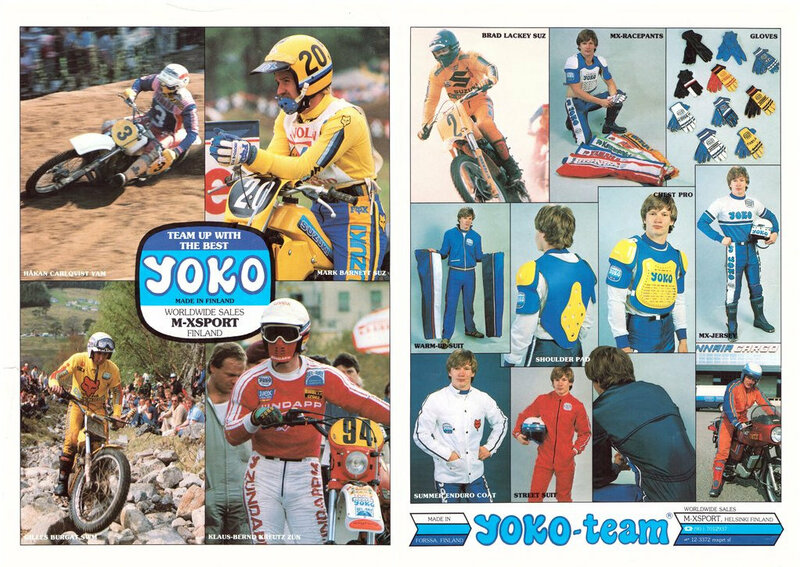 The story of Yoko begins in 1977 in Forssa, Finland, when Juha Tirinen and Kaija Gustafsson founded a sportswear manufacturing company named JOKO. Both had vast experience in the industry, having previously worked together at Finnish sportswear companies Koho and Sinisalo. Joko started off making mitts for a sport called Pesäpallo, a Finnish version of baseball. 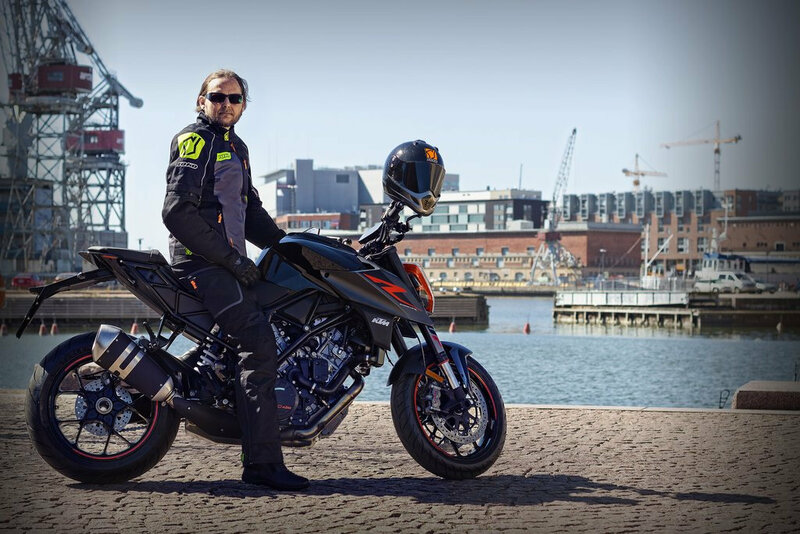 Juha Tirinen was an international level motocross racer, so Joko naturally began to branch out into motocross gear, starting its endeavor in co-operation with a brand called Moto-X Fox. The first items born of this collaboration were Moto-X Fox gloves manufactured by Joko. Soon Fox founder Geoff Fox told Tirinen that in his opinion, Joko should be written with a Y instead of a J, so Joko became Yoko. Later on, Tirinen suggested that Geoff replace the letter O in "FOX" with the Fox head symbol. 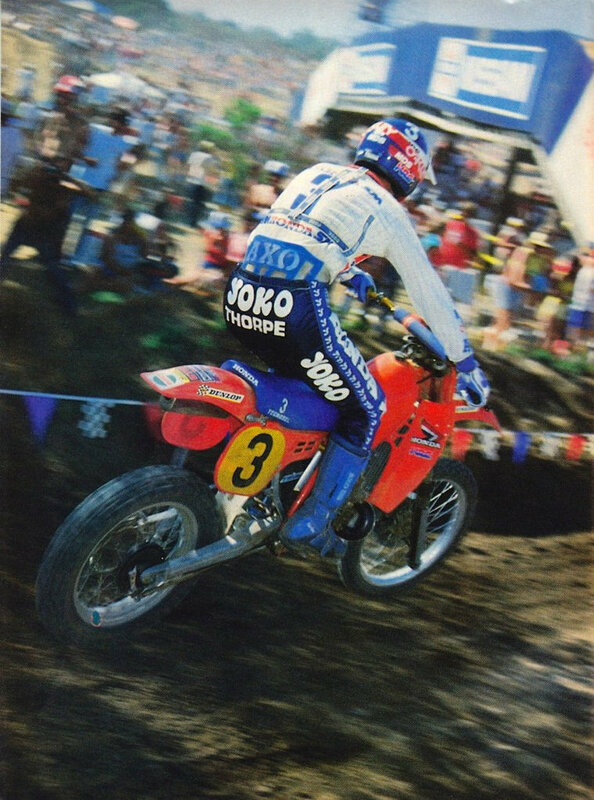 During the late 70s and early 80s, YOKO and Moto-X Fox logos co-existed on the gear of legendary names such as Brad Lackey, Mark Barnett, Graham Noyce, all of whom delivered Yoko and Fox World AMA Championship titles. It wasn’t until 1982 that Yoko and Fox started selling their gear separately. Still, Fox gear (along with Oneal, AXO, Answer, Hallman Husky etc.) was produced at the Yoko Factory in Finland until the early 90s. Motorcycling gear was also added to the Yoko repertoire at this time. 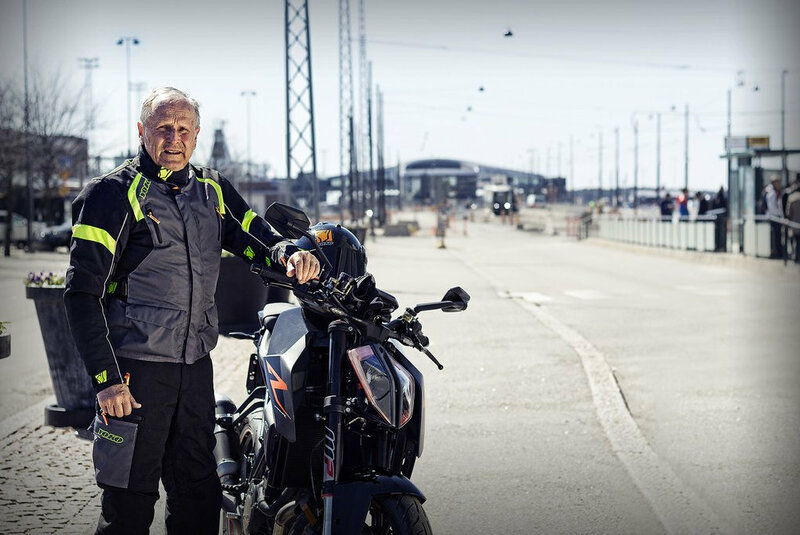 Swede Håkan Carlgvist captured his second World Championship title in 1983, this time in the 500cc class. Yoko riders swept the 1984 World Championship in all three classes, with Italian Michele Rinaldi (pictured below) taking the 125cc title, Austrian Heinz Kinigadner winning the 250cc class, and Belgian Andre Malherbe the premier 500cc class. 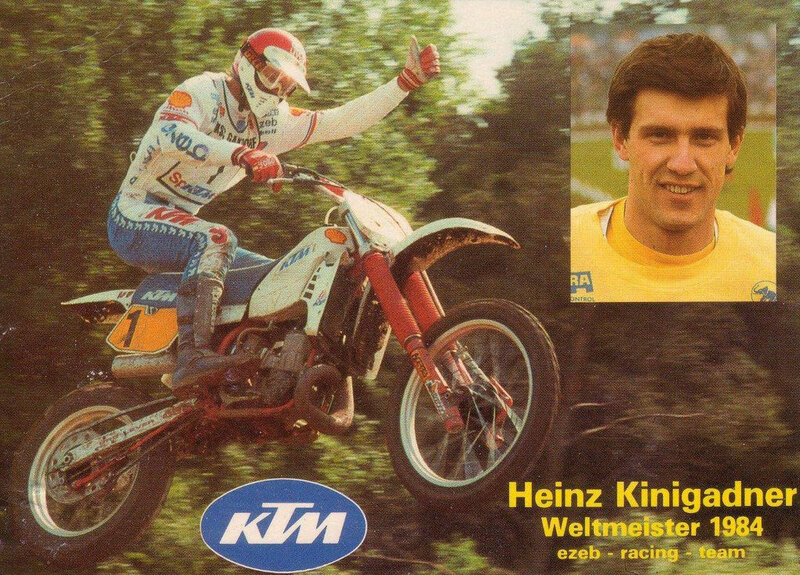 Heinz Kinigadner won the 250cc World Championship in 1985 as well. 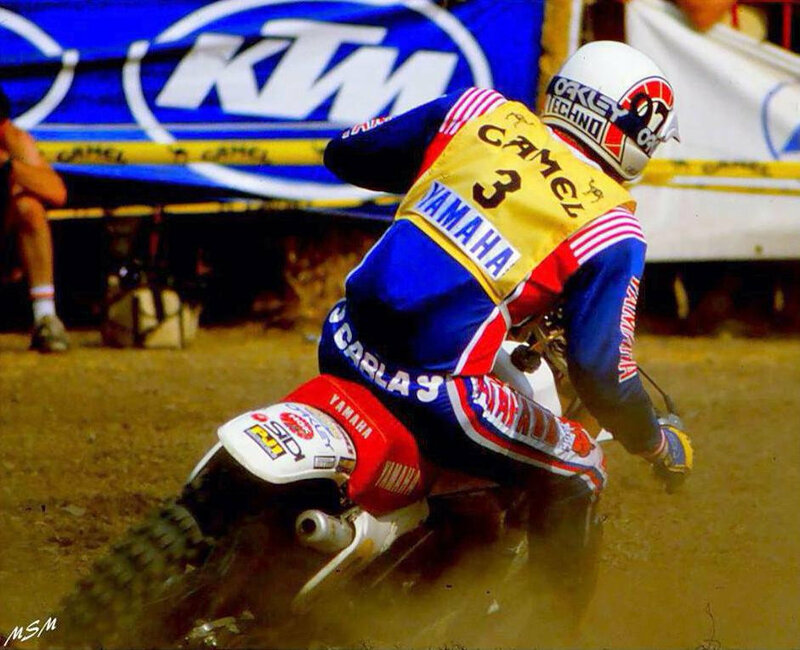 Yoko rider and British legend David Thorpe won the 1985 and -86 Motocross World Championships in the 500 cc class. 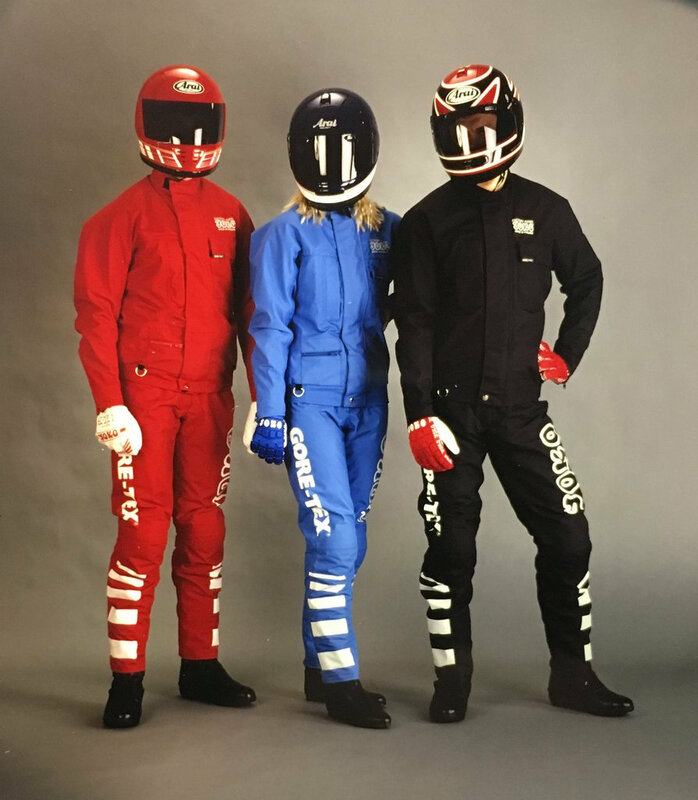 Yoko was the first brand to start producing Gore-Tex motorcycling suits. 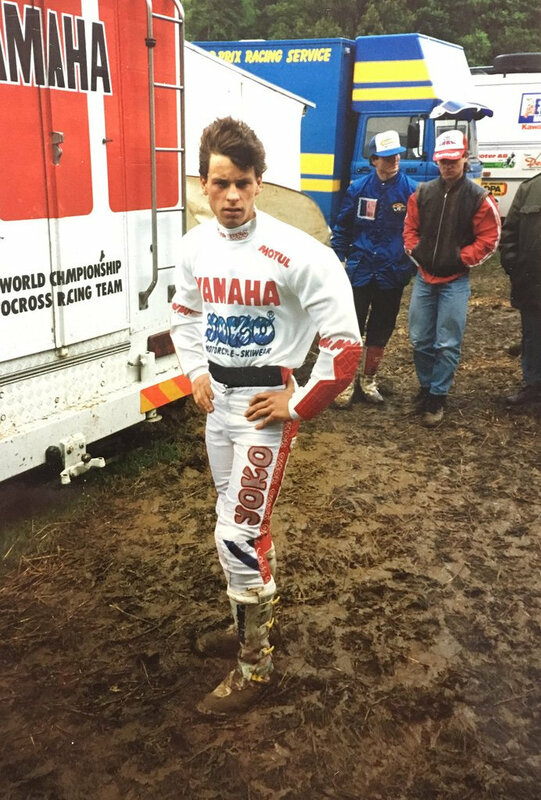 Dutchman John Van Den Berk became the 125cc Motocross World Champion in 1987 and the 250cc Champion the very next year 1988. 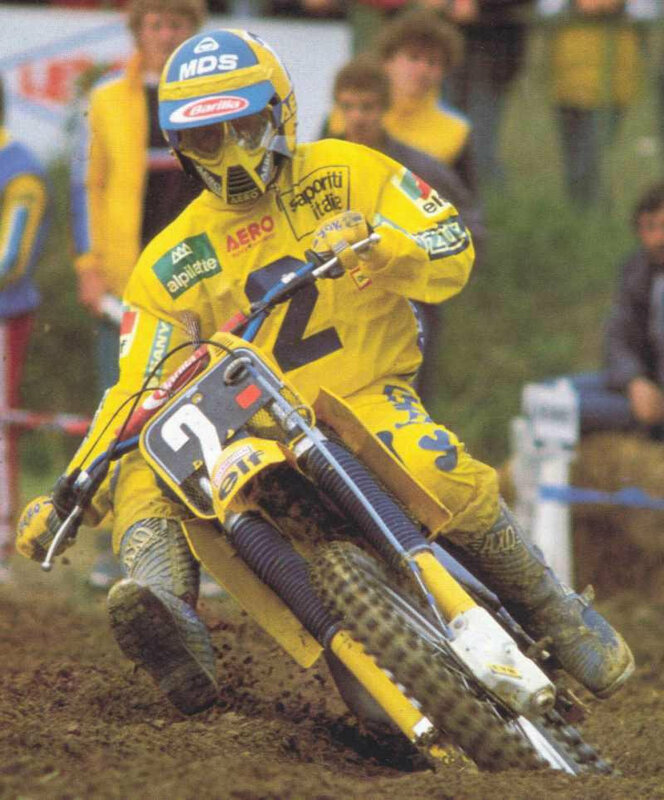 Yoko hired American Honda’s Steve Lamson as its main rider in 1993, a position in which he remained until 1994, when Yoko decided to quit producing moto garments and transferred the Yoko moto license to another Finnish manufacturer. Towards the end of the 90s, Yoko expanded its product range yet again, this time venturing into bikewear. 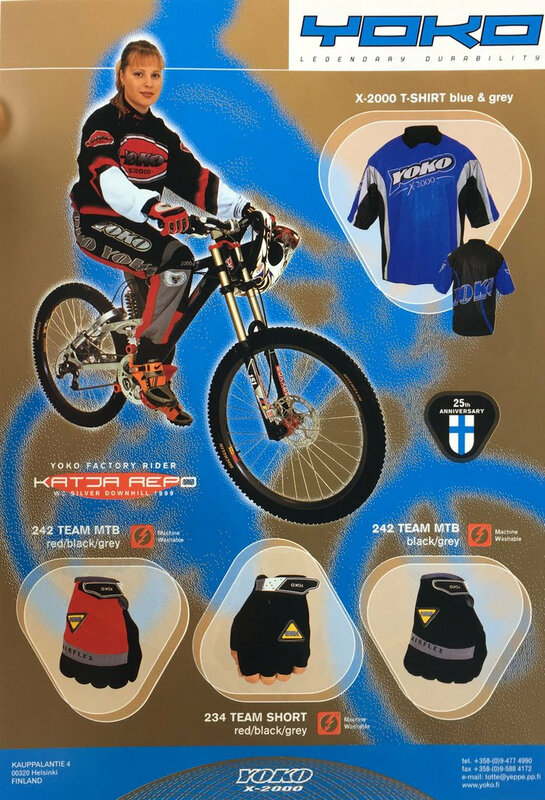 1999 women's downhill World Championship silver medalist Katja Repo was one of the Yoko factory riders. When the new millennium rolled around, Kaija Gustafsson's son Jani Gustafsson took over the Yoko business at just 26 years of age. Having spent most of his childhood at the Yoko factory in Forssa, Jani had Yoko in his blood, initially just hanging around, but taking factory duties as well as he got older. One summer he was running the screen print machine, a laser cutting machine the next, and later on, as a teenager, he assembled 100 000 knee guards single-handedly. 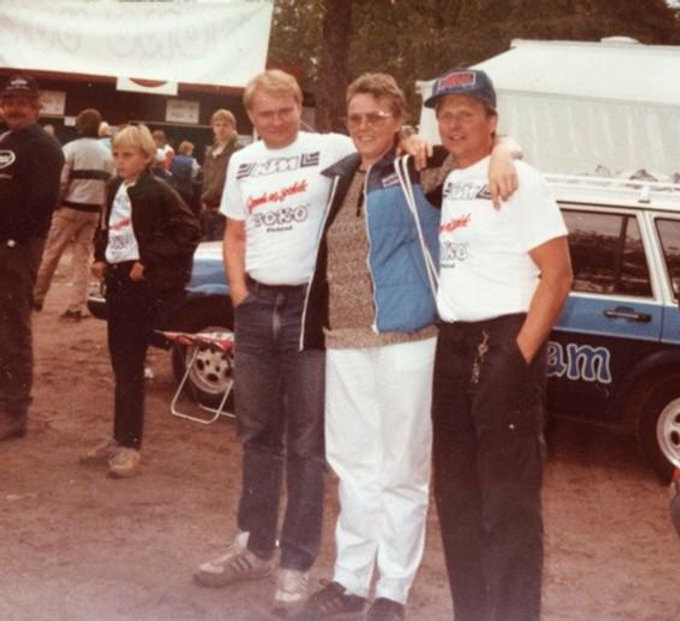 Although an old one, here is a rare shot of all the significant Yoko people together, starting with founder Juha Tirinen on the right, co-founder Kaija Gustafsson in the middle, and Yoko factory's technical manager Hannu Raatikainen on the left. In the background you can find Jani Gustafsson, aged 11, who would later take over the reigns at Yoko. 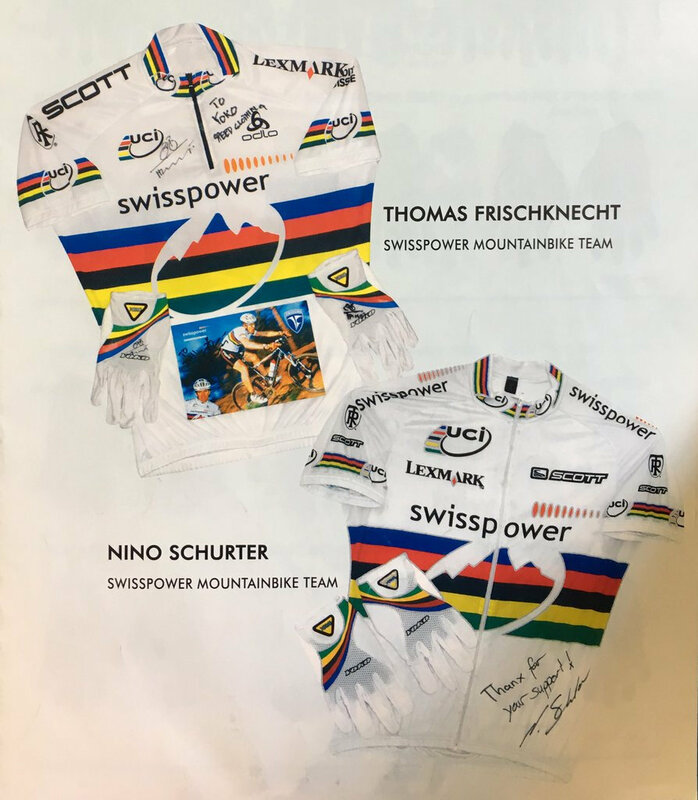 Swiss mountain bike rider Thomas Frischknecht won the MTB World Championship wearing Yoko gloves in 2003, and fellow countryman Nino Schurter took his Yoko gloves to the title 2009. 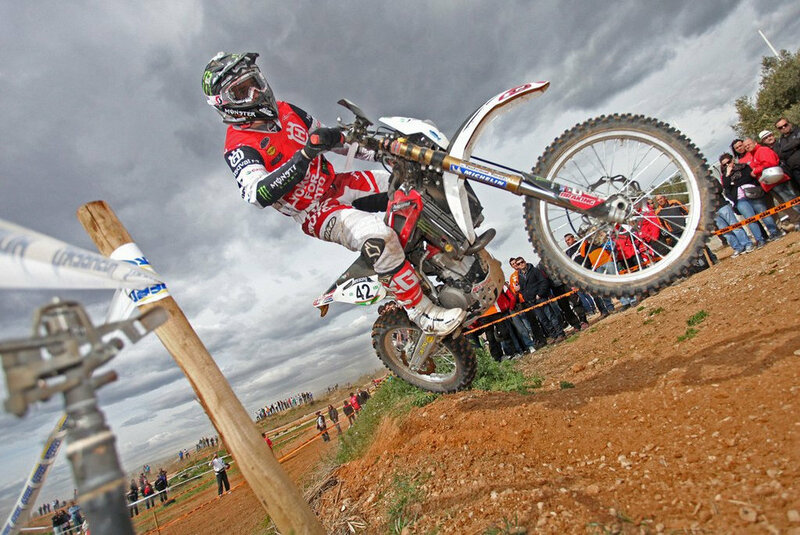 Juha Salminen, one of the all time Enduro greats, won his 13th and final World Championship title wearing Yoko. 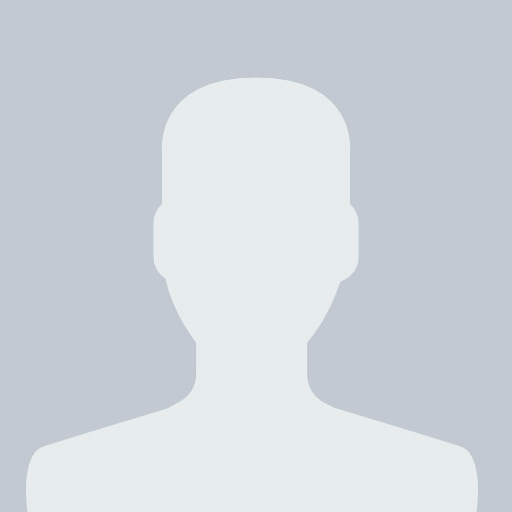 Yoko moto gear was produced by another company at the time. Photo. J. Edmunds. Yoko's moto license found its way back home and Yoko now owns the sole right to produce original Yoko motocross, enduro, motorcycling and snowmobile gear. Yoko has reached the respectable age of 40. So we went back to where it all started. 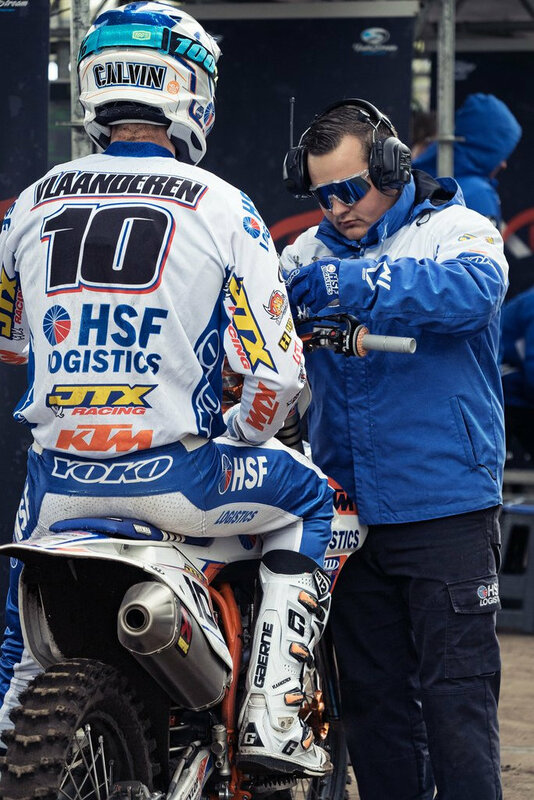 Yoko has now teamed up with HSF Motorsport KTM, one of the premier teams in the MX2 World Championship series. Using the feedback they provide, we are able to take our products to the next level. A new company Yoko Europe was founded in Lommel, Belgium to take sole responsibility of distributing Yoko products in Europe and around the globe. 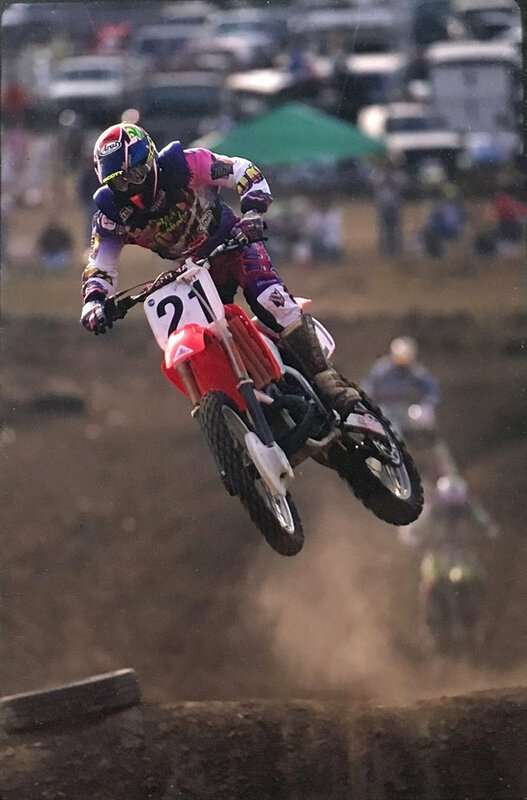 Yoko’s strong push back to the top of motocross continued with the announcement of a multi-year contract with future motocross superstar Liam Everts in October 2018. Motocross runs deep in the Everts family with grandpa Harry having won four Motocross World Championships and father Stefan’s record 10 World Championships. 14-year-old Liam claimed bronze in the EMX85 championship and silver at the German ADAC series in 2018, and moved on to the highly competitive EMX125 series for 2019. Motocross legend and 10-time World Champion Stefan Everts joined Yoko as part owner of both Yoko Europe and its mother company Yoko Sports. In addition to the shares acquired, Everts will play a role in Yoko’s product development and marketing, and serve as talent scout and race strategist for the Yoko Team Pilot program. Husqvarna Motorcycles announced a new three-year partnership with YOKO – an agreement that would see Yoko become the Rockstar Energy Husqvarna Factory Racing MXGP team’s official riding gear and teamwear supplier through the end of the 2021 season. The team, owned by Finnish F1 superstar Kimi Räikkönen and ran by former MXGP rider Antti Pyrhönen, will field team of Arminas Jasikonis and 2017 MX2 World Champion Pauls Jonass in MXGP class and Mikkel Haarup in MX2 class in the 2019 Motocross World Championships. Rockstar Energy Husqvarna Factory Racing team manager Antti Pyrhönen and Yoko Europe CEO Jan Berthels shake hands to seal the deal that sees Yoko providing the team with riding gear and team wear for the next three years. With Jani Gustafsson (below) steering the mother ship YokoSports and Technical Touch owner Jan Berthels running Yoko Europe, Yoko Team is now pushing full steam ahead, spreading the YOKO word and coming up with innovative products for cross-country skiing, motorcycling, motocross, enduro, snowmobile, and bicycle sports.